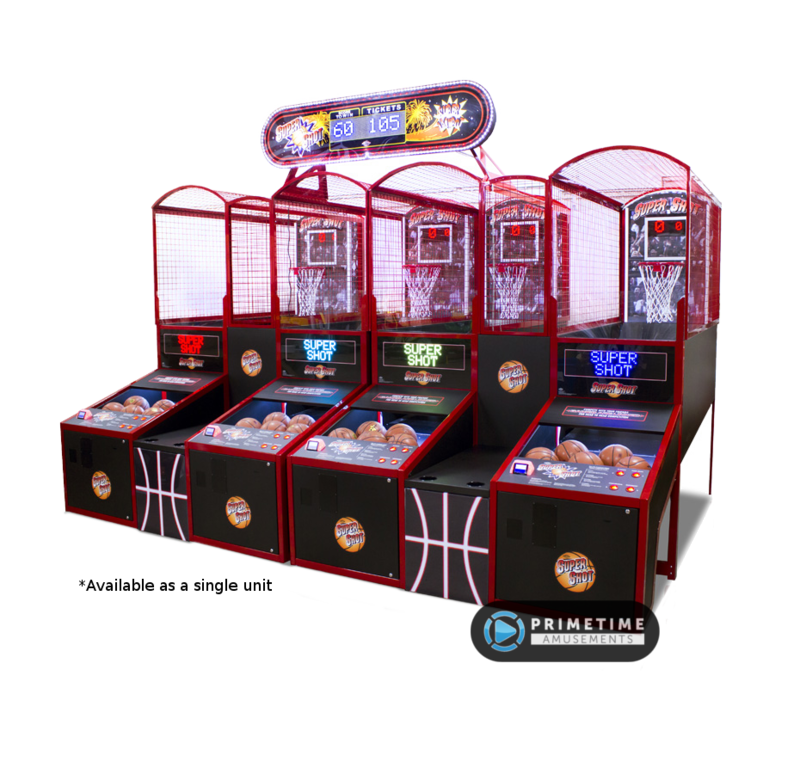 Installed Dimensions: H: 27″ W: 39″ D: 76″ Weight: 252lbs. 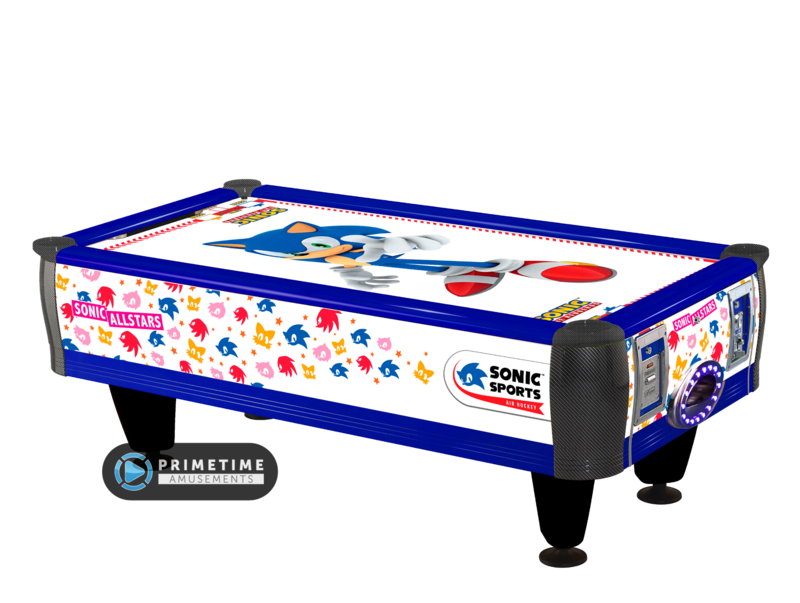 He’s the world’s most recognizable hedgehog and now he is here to entertain your youngest customers with the Sonic Sports Baby Air Hockey table by Sega. 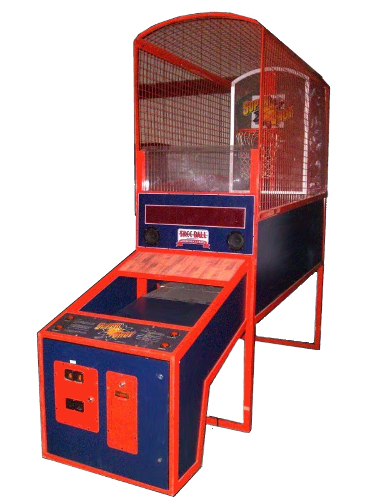 Like with any other air hockey table, players stand at each end and try to score more goals than one another within the time limit. 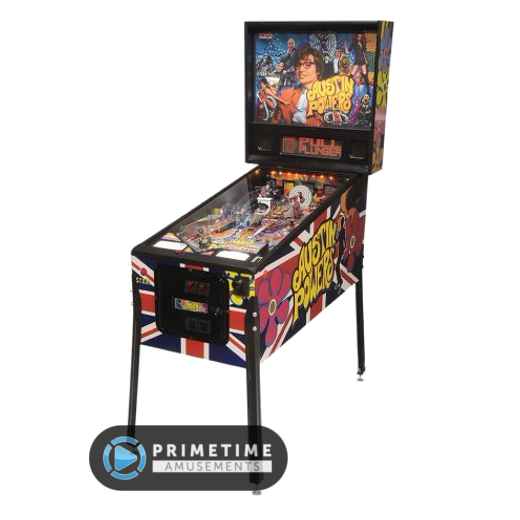 This table features a scratch resistant perforated polycarbonate playfield with numerical LED scoring displays and red & green LEDs to show the game time. 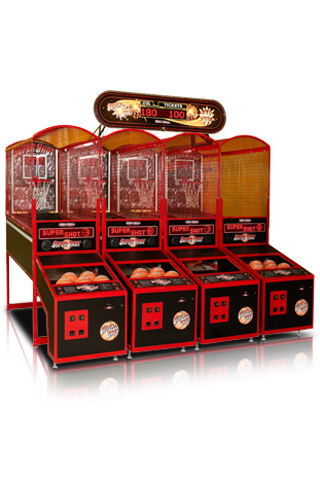 Each player goal features bright blue LED lighting for additional attraction. 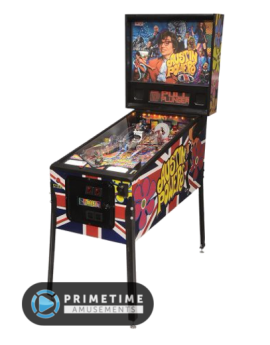 This is adorned with high quality artwork featuring Sonic The Hedgehog on the playfield surface with characters Sonic, Tails and Knuckles along the sides. 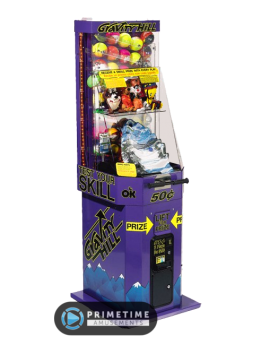 With optional ticket redemption, this the perfect air hockey table for locations that are looking to offer something fun for kids. 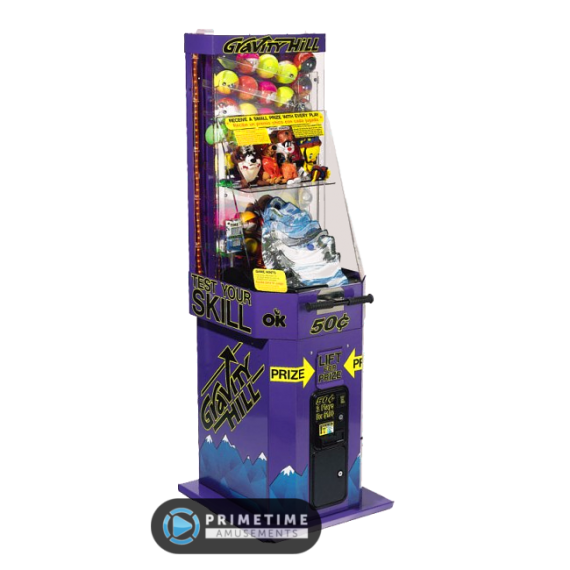 Check out the Sonic Sports Baby Air hockey as a part of this video. 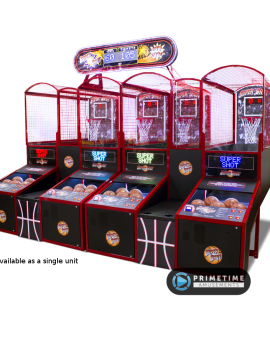 Available in 4K UHD!